Ghosts of Consumption (for Piet M.), 2012. This work is homage to the simplified beauty of Mondrian’s abstract drawings from his Ocean/Pier series while updating the abstract composition such that the marks are actual plastic objects that have floated over ocean currents and now foul beaches worldwide. The objects are presented as specimens on steel pins in the wall. 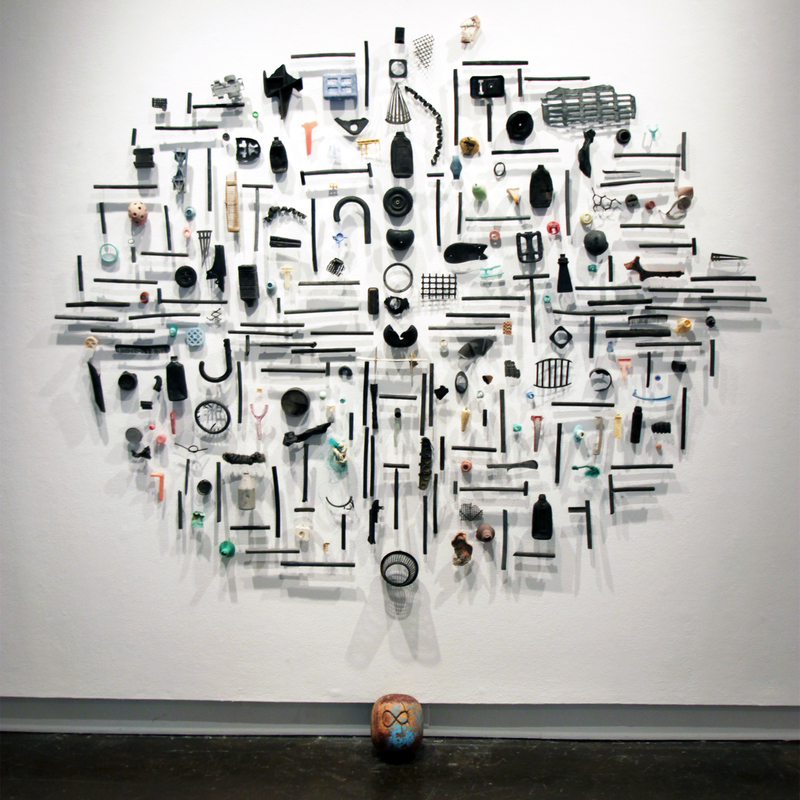 287 pieces of ocean-borne plastic create the image.